Duracell High Power Lithium batteries offer reliable, long-lasting power for your specialty devices. Duracell High Power Lithium batteries have up to 10 years in storage guaranteed. With Duralock Power Preserve Technology you can be confident these batteries will be ready when you need them. 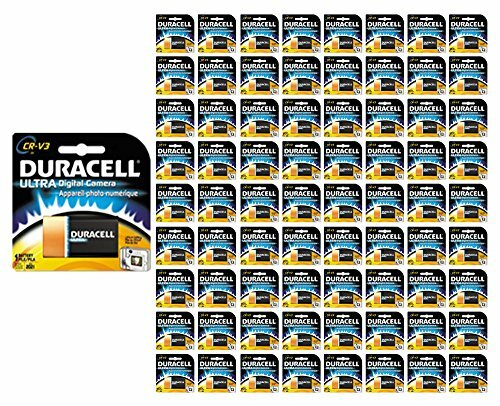 Duracell lithium batteries offer a powerful solution for your thermostats, home security camera systems, automatic door locks, 35mm SLR and 35mm point & shoot cameras. Battery Type: Lithium; Battery Size: CRV3; For Use With: Digital Cameras; Hands Free equipment; Voltage: 3 V.
Up to a 10-year guarantee in storage with Duralock Power Preserve Technology. Great for home security camera systems, digital cameras and a wide range of other devices.